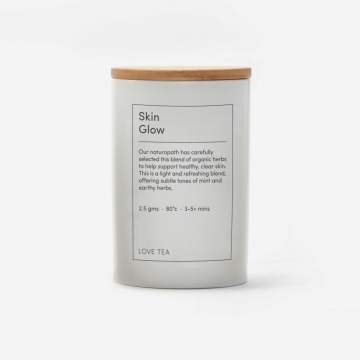 A smooth and refreshing minty blend of organic botanicals, to support healthy, clear skin. 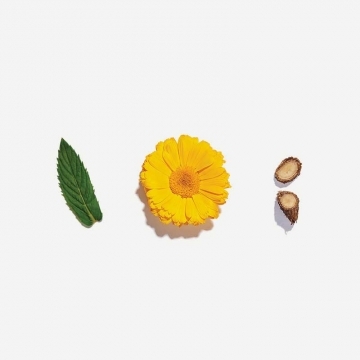 Our naturopath has carefully selected this blend of organic herbs, to help support healthy, clear skin. 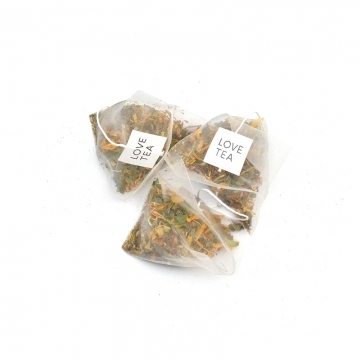 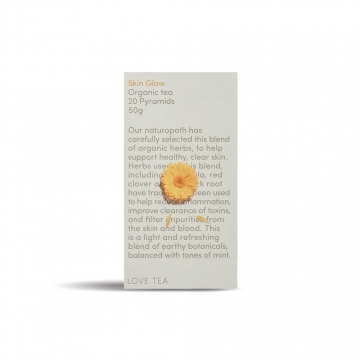 Herbs used in this blend, including calendula, red clover and burdock root have traditionally been used to help reduce inflammation, improve clearance of toxins and filter impurities from the skin and blood. 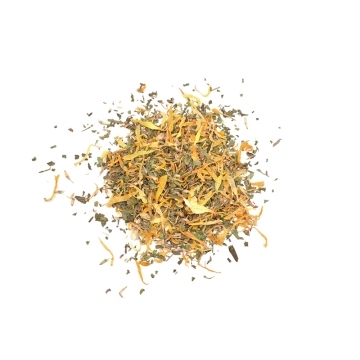 This is a light and refreshing blend of earthy botanicals, balanced with tones of mint.